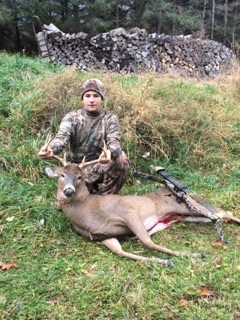 10 point taken in Pike, NY on Nov 8, 2015 with my Hoyt Spyder 30 at 25 yards. Buck has a sticker on the inside of his right main beam. 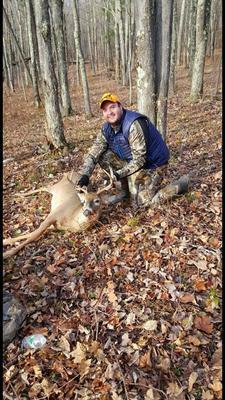 This is Nick Laudisi's first deer and buck. It was taken in Bristol, Ontario County. 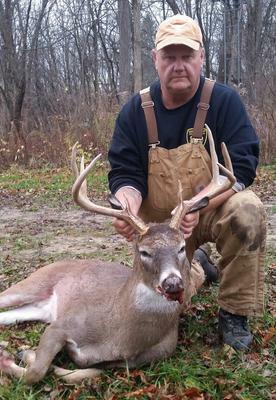 A nice 8 pointer. 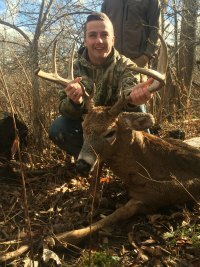 10-point buck taken November 10, 2015 with a PSE bow from West Monroe, NY... Oswego County. Shot this Big Boy in Niagara County on 11/21/15 opening day of shotgun with Remington 1100, open sights @ about 65 to 70 yards. 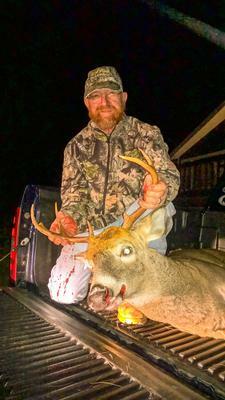 The 9 point dressed out at 188 lbs. and scored 130. My personal best yet! 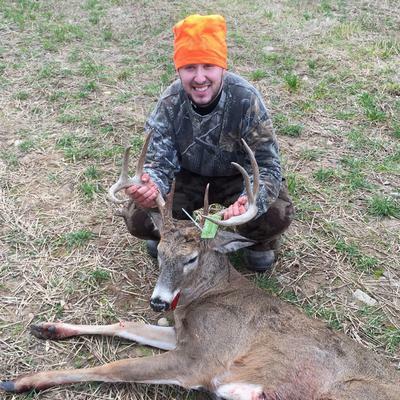 I harvested this 10 point buck November 21, 2015 at 2:45pm in Candor NY, Tioga County. 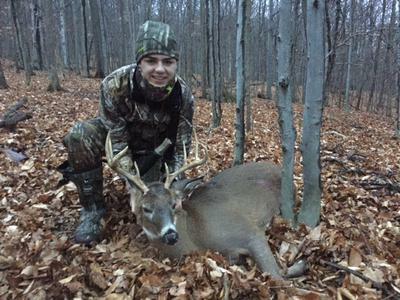 Tanner Yarton, 15 yrs old, shot his first buck with his new shotgun on 11/28/2015. 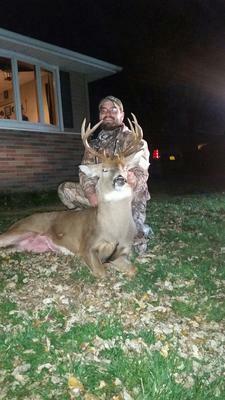 This 2 1/2 yr old nine point was taken in Wyoming county and was 165 lbs. 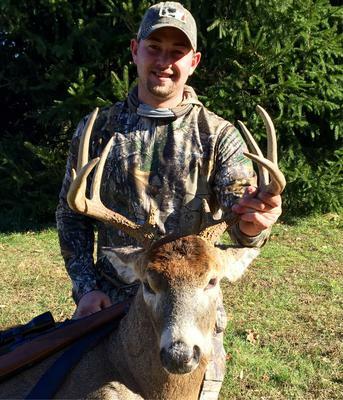 Corey Craig shot this nice 9 point on November 22, 2015 in Monroe County. 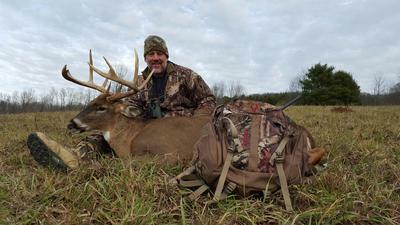 The buck would have been 8 points, but two broke off. So I guess it's a six. Weight was 130 lbs. 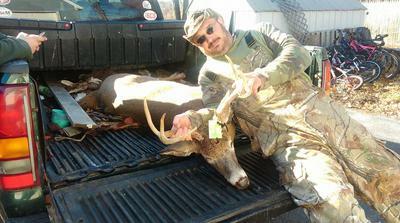 and was the first time hunting with a crossbow.